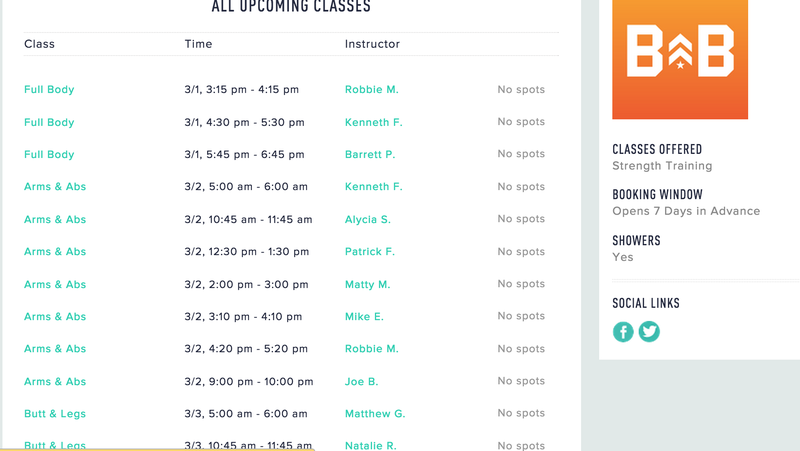 ClassPass’s new cancellation policy is so much better than the old one! With the 12-hour window, rather 24, I’m able to make adjustments in my schedule more easily which is often a necessity having a preschool-age kiddo. More importantly, because there’s more of a penalty for no-showing ($20) versus late canceling ($15), there’s a bit more of a chance you can book a sought-after class last-minute. Bit being the operative word. Many studios don’t allow last-minute booking though and I’ve still got my alarm set in hopes of getting another date with Barry. I’ve decided (thanks to a special rate offer) to also try out FitReserve this month in hopes of getting into some of the classes I just can’t seem to book on ClassPass as that is what FitReserve claims is what sets them apart: you can book harder to book classes at popular times, and you can go to each studio 4 rather than 3 times a month. I’m not giving up ClassPass yet though. For now, I’m just cheating on them a little with FitReserve. But alas, that still doesn’t mean more Barry’s Bootcamp in my life as they don’t have Barry on their roster yet. If they manage to get the new OrangeTheory Fitness that’s opening up in Chelsea, I’d switch over for good. In the meantime, I’ve been talking to other class hoppers to get ideas about fun studios to book that are actually book-able. Here are a few of the best, less-discovered studios I’ve found. If you know of more, please share! Crank (Upper East Side and LIC locations): I can’t believe I haven’t done a whole post about this place yet. It’s one of my favorite indoor cycling spots because it’s the closest I’ve ever come to getting a total body workout on the bike, they provide shoes and the teachers are awesome! Revolution in Motion (Garment District): A revolutionary approach to total body training, like nothing I’ve ever done before. Revolve (Union Square): Loved this indoor cycling class too, especially the hour-long RIP class that incorporates more upper body.